A simple calculator, beautiful inspired by real calculator, but with greater functionality. 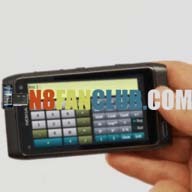 It is designed to replace the stock calculator, maintaining ease of use and intuitive design. Calc Pro is designed to meet all your computing needs!